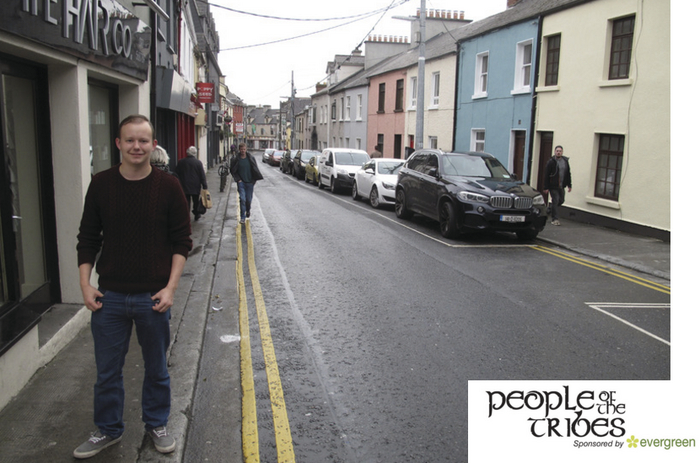 Advertiser.ie - People of the Tribes: Meet Steven. My name is Steven Lee. I was originally born in Melbourne, Australia, but I have lived in Ireland since I was 4 years old and grew up in Co. Kerry. I have been living in Galway over a year now. I am a qualified Social Care Worker and I work with people with Intellectual Disabilities and Autism. I am also studying for my MSc In Applied Behaviour Analysis in NUIG at present. On a part-time basis, I run a Food Blogging Website/Social Media Platform ‘A Touch of Flavour’. This involves sharing my passion for food through online reviews and recipes. I really enjoy keeping active and going to the gym or going for a nice run in Salthill along the promenade. I recently completed ‘Tough Mudder’ over the summer which is an obstacle course endurance race which was both challenging and exciting. I have also signed up for ‘Turf Warrior’ which is another endurance event that is on in Connemara in November. For me, Galway has it all. It is not too big of a place nor is it too small. This is the perfect balance for me especially since moving from a small town in Kerry. There is always a great atmosphere around the city with entertainment from buskers to a range of festivals that are on throughout the year. The food industry here is also amazing hence why I love food blogging in this city. The nightlife is also great and there is always just a nice vibe around the place. I also love exploring the scenery around Galway and all of the nice beaches and walks that it has to offer. Salthill has to be my favourite on a sunny day when we do get the weather or a trip down to Connemara never fails to disappoint.